This one was a grand success, it's good size the closing went better and others but I packed it too tight and so it still hurts... 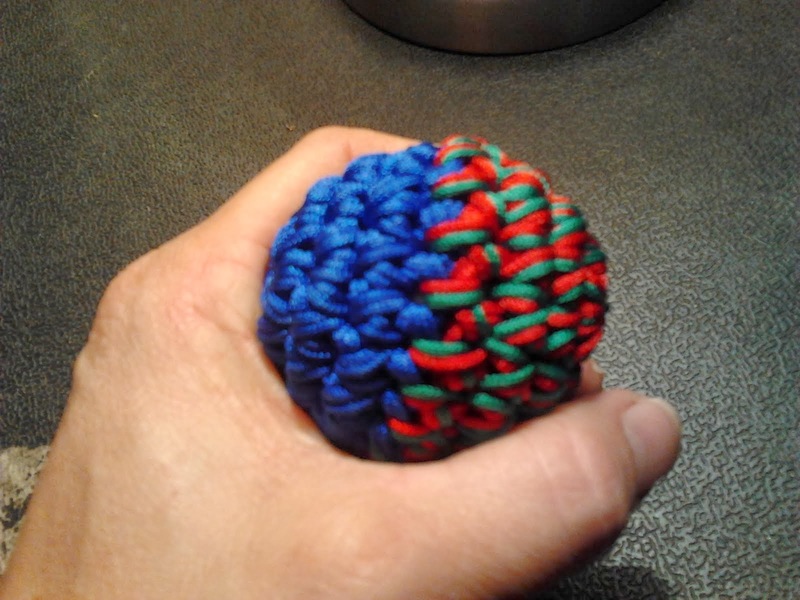 It's easy to do that with two strands because you end up tugging on the stitches pretty tightly and thereby making the whole ball harder then usual. Considering going back to single strange maybe 12 or 14 rows.